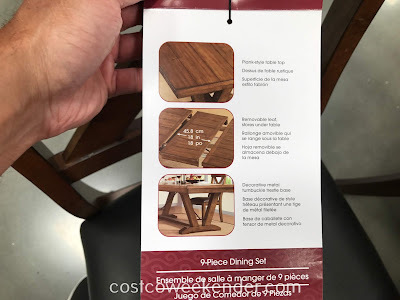 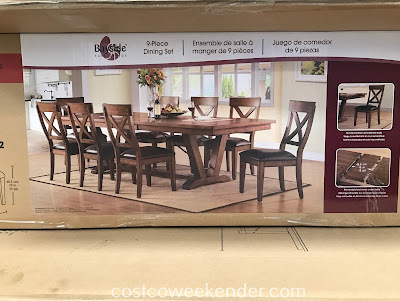 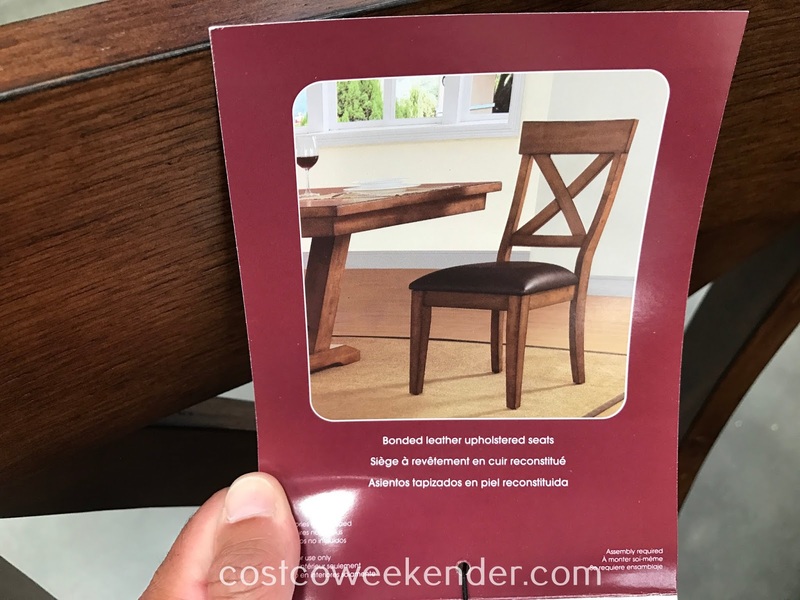 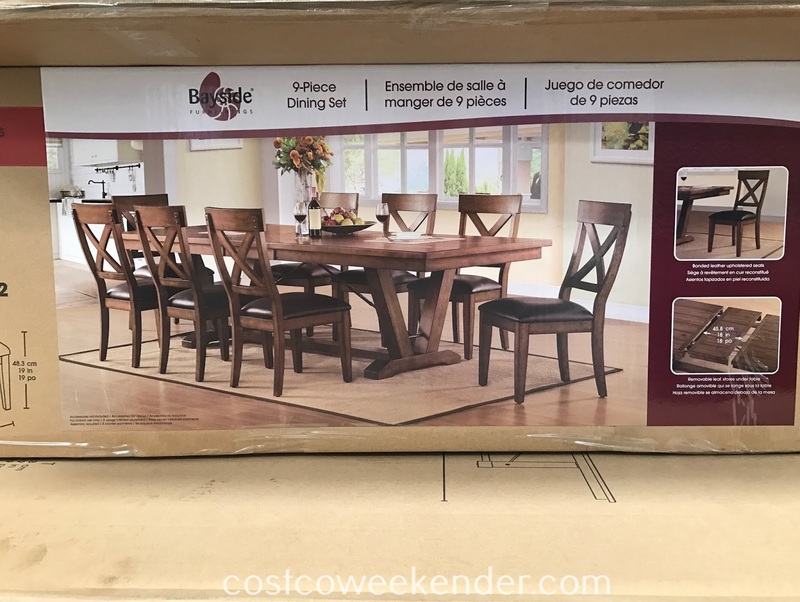 If you're looking for a good dining table for your house, then look no further than the Bayside Furnishings 9-piece Dining Set from Costco. 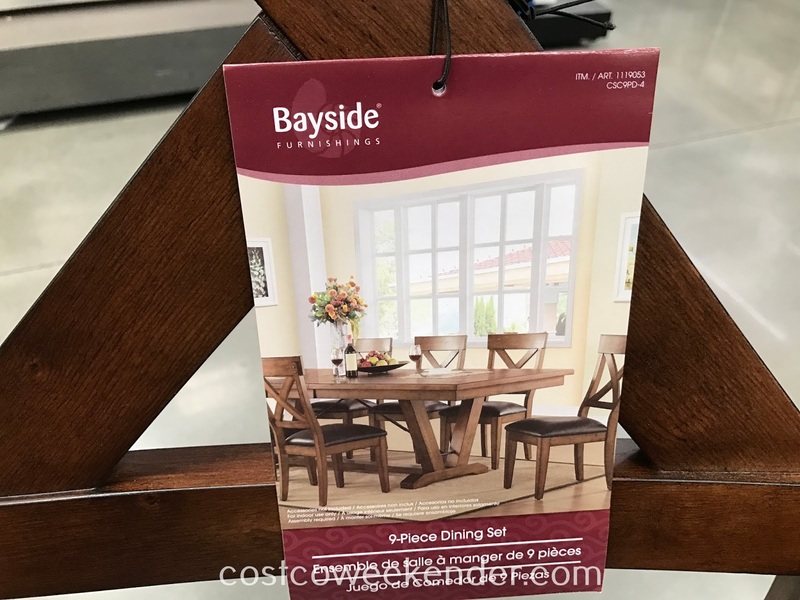 It provides plenty of seating for you, your family, or guests when they come over. 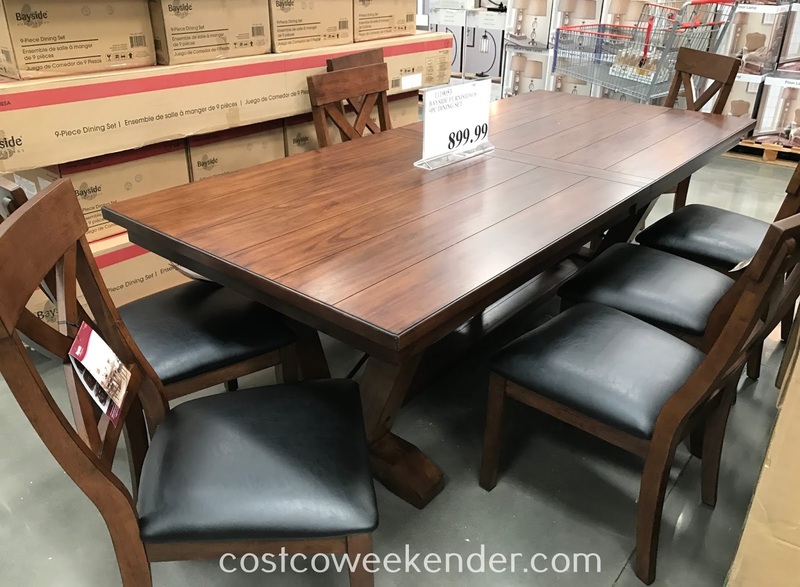 Gathering around with the family will feel even more special when you can all sit together for a meal versus parking yourself in front of the tv. 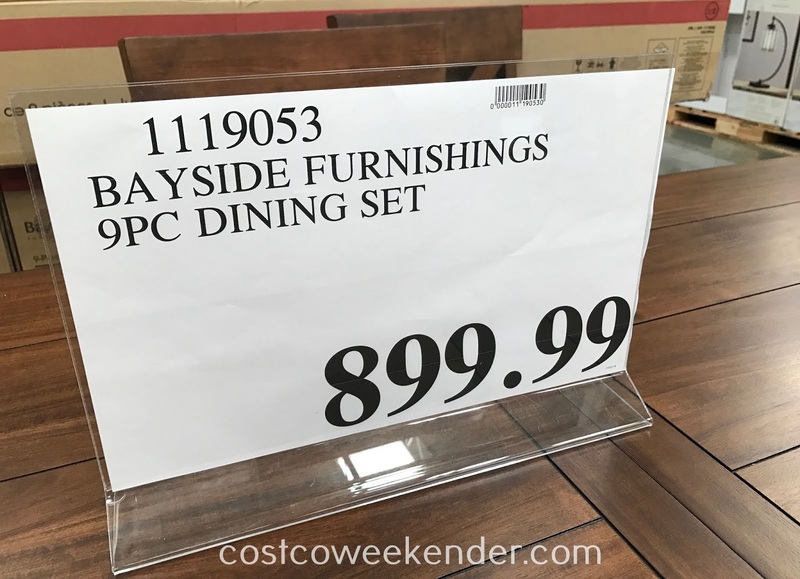 Not only that, but the Bayside Furnishings 9-piece Dining Set will also give your home a warm and "homey" feel with its rustic decor.